"Every legend has a beginning." 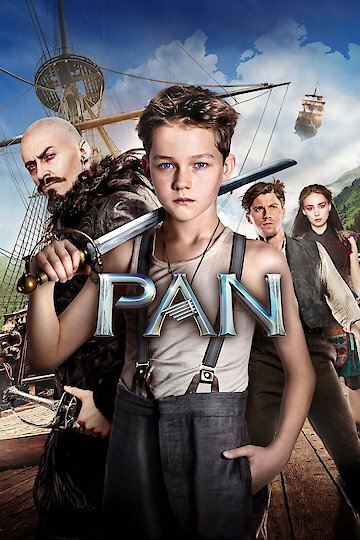 "Pan" (2015) is an upcoming American fantasy that provides an origin story for the character Peter Pan. In it, he's an orphan who is spirited away to Neverland. There he encounters Tiger Lily and a young Captain Hook. The three of them end up doing battle against the evil Blackbeard. Pan is currently available to watch and stream, buy on demand at Amazon, Vudu, Google Play, FandangoNow, iTunes, YouTube VOD online. Check out the trailer for the new Peter Pan movie, starring Hugh Jackman.